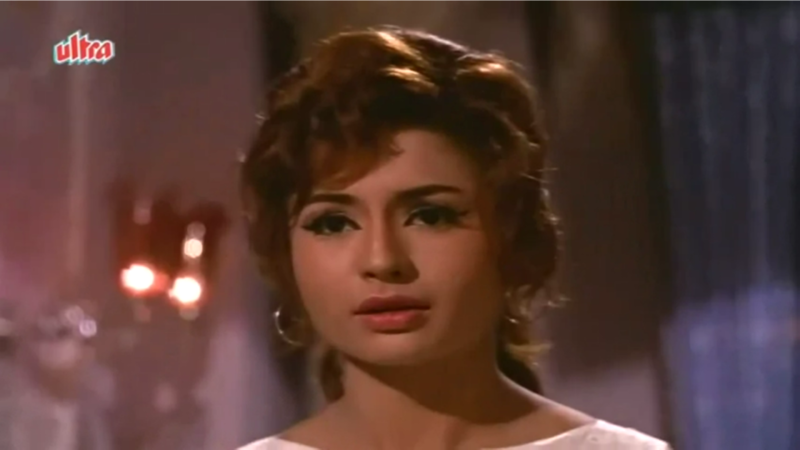 "Kaun hai woh, aahkir woh saamne kyon nahin aata” gumnaam hai koi badnaam hai koi... Gumnaam! If you are wondering what was all that about, well that is one enduring memory that I have of my childhood. Actually to be honest the memory was a very faint memory, my brother sort of filled in the details. That sentence above is the line from Gumnaam’s radio spot. 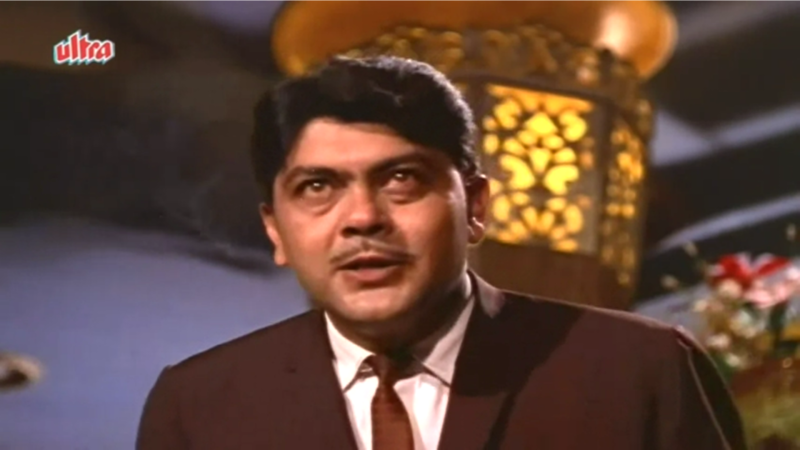 “Kaun hai woh……” was the dialogue that my father repeated in the film. Those were the days of radio spots, there was no television or internet but of course there were billboards too, which some ‘smart-alec’ used to disclose the murderer’s identity. He circled the murderer and wrote ‘Murderer’. 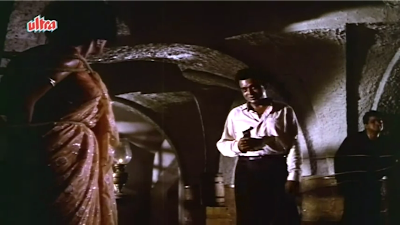 But that did not deter the audience, surprisingly this was one of those suspense films which had a huge repeat value. People saw it again and again even when there was a re-run. 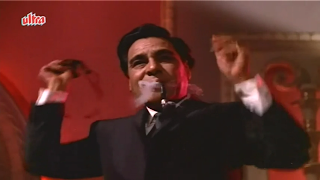 Not surprisingly therefore, when people talk about my father they associate him with Gumnaam and Anupama. I do find it disappointing that his other films are ignored but I guess it cannot be helped considering that both the films had him in author backed roles. Though most of you may have seen the film, I am just giving a brief outline of the film which was inspired by Agatha Christie’s ‘And Then There Were None’. I say inspired because Gumnaam’s story is a little different from Christie’s novel although the basic premise is the same. The film opens with two murders one an accident which has been engineered to kill one Mr. Sohanlal who you later learn is Asha’s (Nanda) uncle. 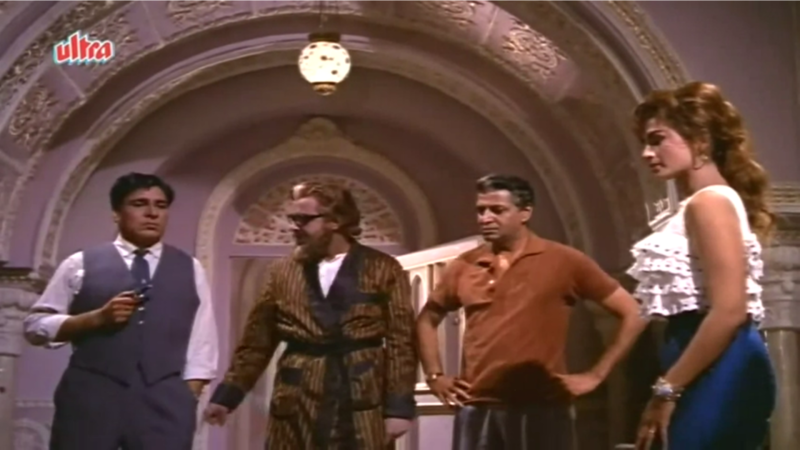 Incidentally excepting, Dr. Acharya (Madan Puri) and Madhusudhan Sharma (my father) nobody appears to have a surname in the film, but that is nothing unusual for a Hindi feature film. In case of Dr. Acharya (if I am not making a mistake) he does not appear to have a first name. 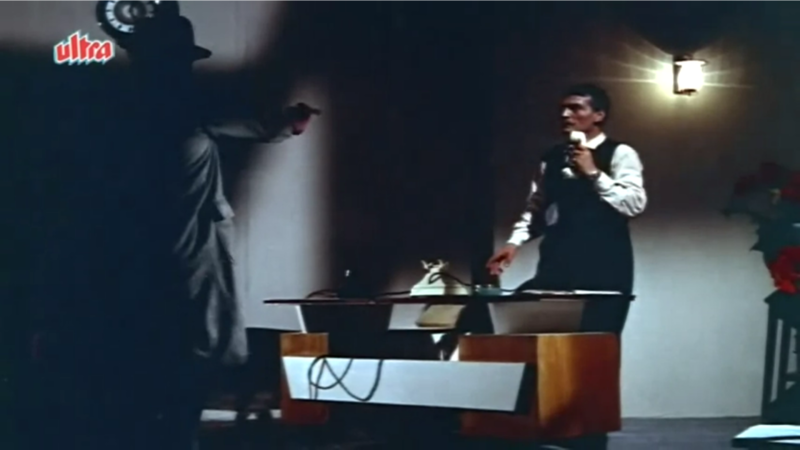 you see the shadowy figure of a man walking in and shooting him dead. They fly off in a chartered plane and besides the pilot there is Anand (Manoj Kumar) who appears to be a flight purser or steward on the flight. The plane suddenly develops a snag and lands on what appears to be a remote island. 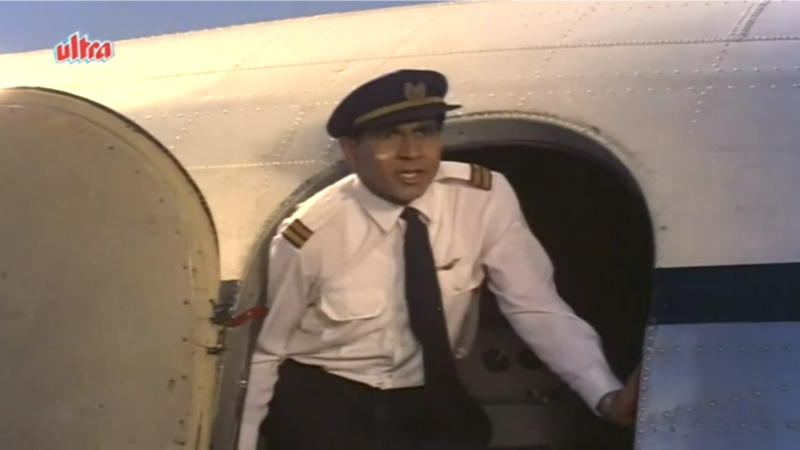 The pilot assures them that once the fault is rectified they will continue their journey. Much to their dismay the pilot leaves them behind and flies off immediately. Stranded and worried they come across this mansion in the middle of a forest. Hoping to get some shelter they are surprised to find a cook (Mehmood) ready and waiting for them. 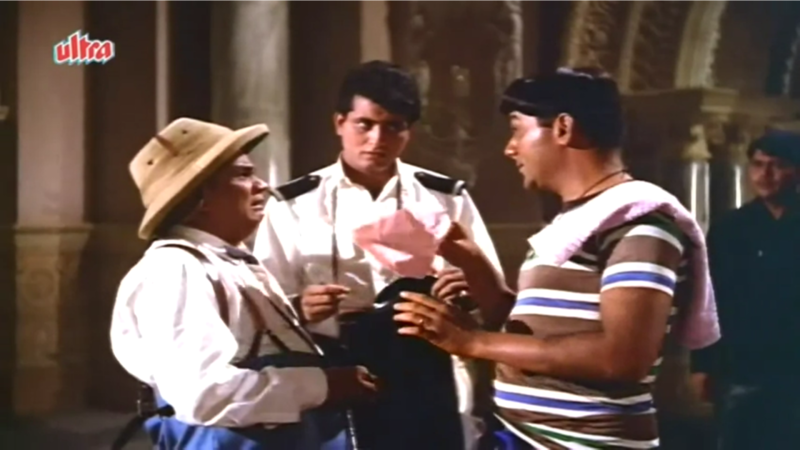 Much to their amazement he has a list of all their names, excepting Anand whose name doesn’t feature in this list. Having no choice they settle down only to find a diary, on reading this diary they learn that they will all be killed one by one. That is exactly what happens but of course true to Hindi film tradition the murders do not seem to stop the lead pair from happily singing romantic songs. 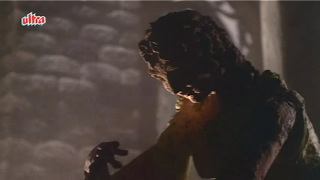 I hope most of you have seen the film for I will not be able to go ahead with my trivia section unless I reveal the muderer’s name but before I do that I would like to talk about what particularly appealed to me. The film was shot in Goa, this was the early sixties few years after Goa was liberated from Portuguese rule. The entire unit spent a long time in the then pristine, unspoilt environs of Goa, my father loved it. The director Raja Nawathe has done a wonderful job of capturing the beauty of Goa, I guess it helped that the place was not overrun with tourists and resorts as it is now, I doubt whether he would have been able shoot the following scenes now, just take a look at the beauty of the rocky beaches.Now probably some resort may have come up in these places. cremate them, I guess, the director did not have much of a choice for how would the murderer then literally get way with murder? There are two scenes that I really like, the first is in the first half of the film when Asha and Anand go in search of Kishan. there is close-up of a statue, almost making you feel that the the statue has come to life and is the one who is amused at their plight. I remember back then in the darkness of the cinema hall the audience found it eerie and there were nervous sounds of laughter in the hall. 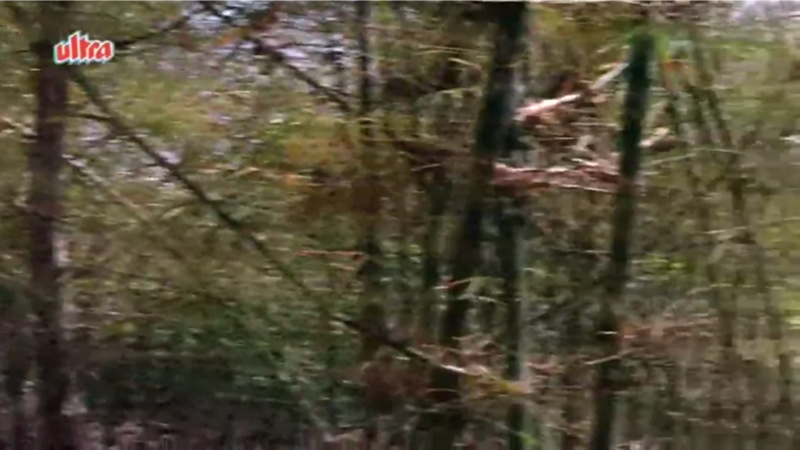 The other scene is the one where Helen is about to get killed. 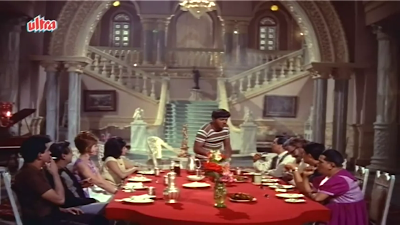 A very well picturised scene, the background music is excellent here. As I have mentioned time and again filmmakers, in the past, whether in India or abroad knew how to make judicious use of silence, silence helps you to focus on a scene while unnecessary background music can be quite distracting. the accompanying background music is in sync with her happy-go-lucky attitude, the thought, however, did cross my mind that in her place I would have been nervous if I had bodies popping up all round me. but then as she makes her way she hears the rustling sound of dry leaves crunching under somebody's feet and you can clearly see she is afraid. She doesn’t see the lasso behind her but the audience does. 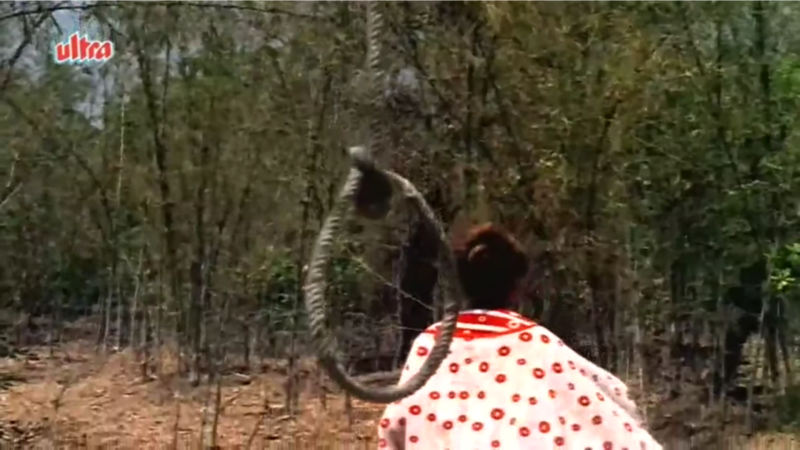 the lasso encircles her neck and that’s it, she is dead. While watching the film again I realized that for a film which has seven murders in it, it is remarkably devoid of any violence, at least by today’s standards. The murder scenes are not gory but then those days for us the sight of a knife sticking out of a body was violent enough. 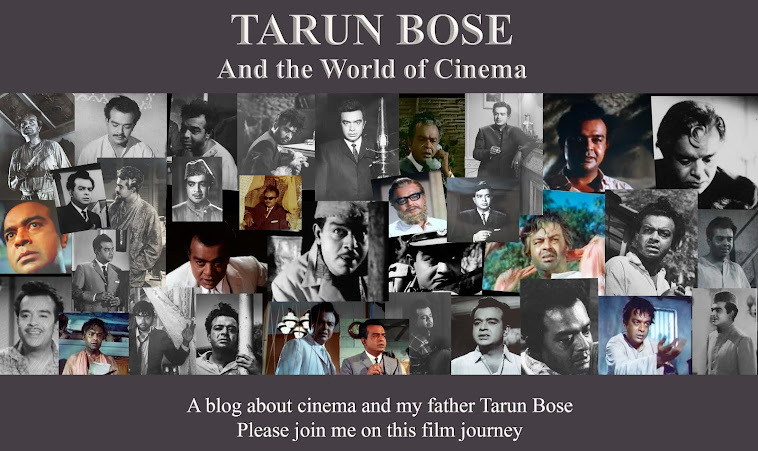 My blog is called Tarun Bose and World of Cinema so I guess this post would not be complete without talking a bit about my father’s performance. but yes there is one scene of his which is my favourite and that is the scene where he breaks up a fight between Dr. Acharya and Barrister Rakesh. while Kitty looks at him in surprise. She is surprised to find an ‘old man’ separate two supposedly younger men and give them their marching orders. "Young man". I quite like my father in this particular scene. As I have mentioned earlier, I was small but I do have some memories of the Gumnaam days, so what you read here are my memories, what my brother and mother told me and what I learnt later from those who were connected with film. Few years after Gumnaam was released and I had grown up a bit, my father and I were discussing Gumnaam and I remember my father telling me that barring Manoj Kumar since he was the film’s hero and my father for obvious reasons, nobody knew who was playing the murderer. 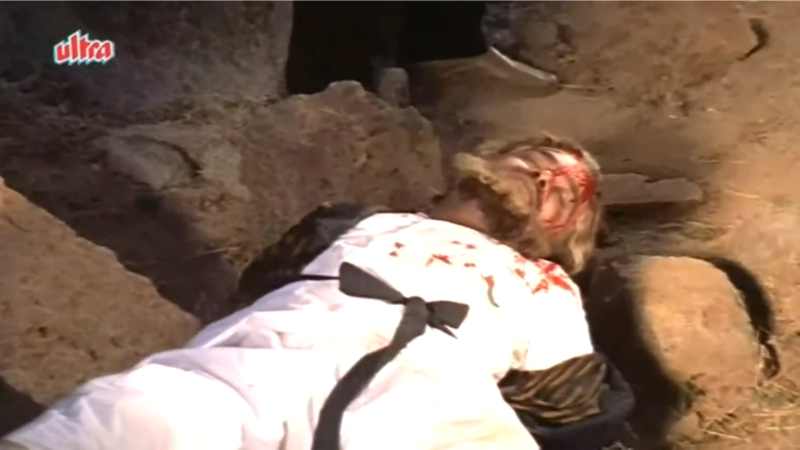 The logic was if the actors did not know who the murderer was then it would not affect their performance. 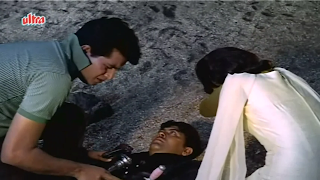 I remember asking my father that at the end Nanda and Mehmood come to know the murderer’s identity, my father told me that they came to know at that point while shooting for that scene, I guess they were as surprised as the audience was. I remember my father cautioning me at the time of the film’s release not to reveal the film’s suspense. Although I kept my mouth shut, some people had penned a song, Gumnaam hai koi, Tarun Bose hai wohi just to spoil the fun. 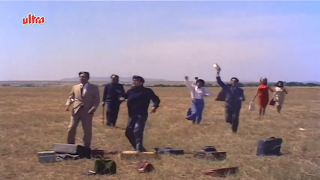 As I was a child, there was no way I could see the film in a cinema hall, I saw the incomplete film at a trial show. 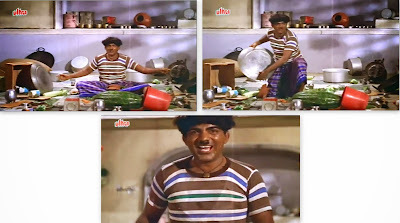 Films at trial shows are usually the rough edits of what has been shot till then, usually without any background music. 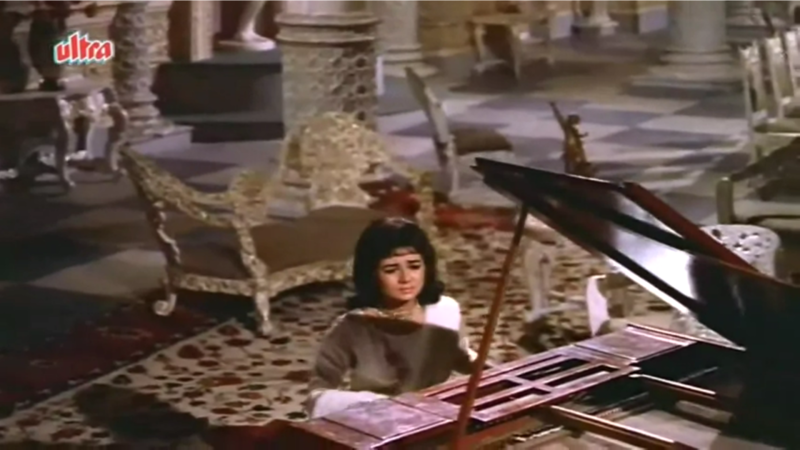 There was one solo song, I think it was sung by Sharada and picturised on Nanda, she sings it while playing the piano. This song did not make it to the final cut, it was decided to delete the song in order to trim the film. The song was actually quite popular at the time, I used to hear it on the radio, but now I do not remember it, I guess it is a case of out of sight (or to be more precise out of hearing) out of mind. Incidentally I did get an opportunity to see the complete film a year after my father passed away. There was a hitch though, I was still far from being an adult, I was hoping to fool the ticket checkers and make way inside the hall. Bad luck, I did not look old and they wouldn't let me in, I desperately wanted to see the film, I hadn't seen the end and this was the film's re-run and I wasn't sure whether I would get an opportunity again. Remember, those days forget the internet even video cassettes were far from the horizon. Finally my brother begged the cinema theatre's manager explaining that it was our father's film, he agreed to allow me in only after my brother had given a written undertaking that if I got scared or something then my brother and my mother would be solely responsible. Laughable isn't it? Now anyone can watch it on You Tube. 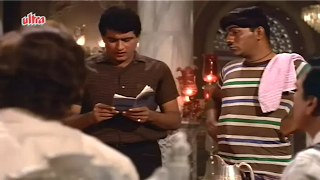 Those of you who have seen the film on the internet or a DVD will have missed out on something which I found interesting, Gumnaam was one those few films to announce the interval in a novel manner. 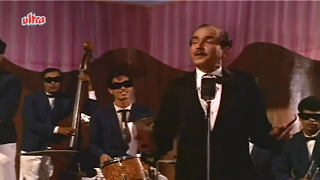 It's after the song hume kaale hain to kya hua dilwale hain. 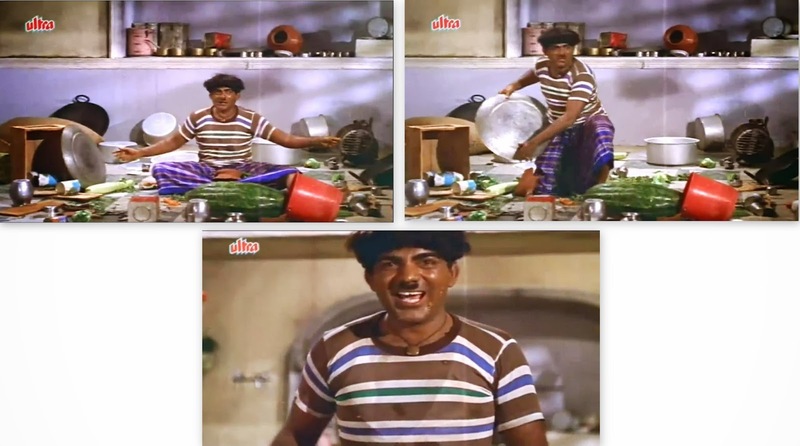 Mehmood realizes that while he was in his dream world he has messed up the kitchen (top left), he picks up a big plate, actually a sort of lid (top right), he wonders aloud, " Abhi main in mufatkhoron ko kaise kheelayoonga?" -- How am I going to feed these freeloaders? 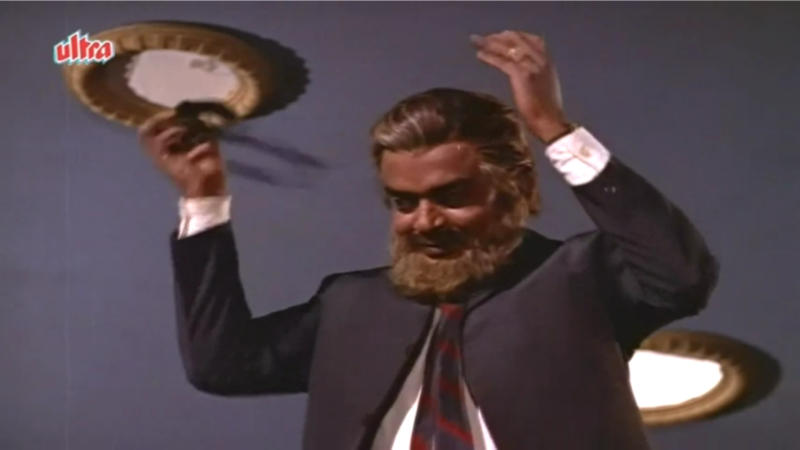 He then walks up to the camera and asks the audience (above), "Kaise? ",--- How? It is at this pont that there is a cut in the You Tube version and the DVD. He replies to his own question with a, "Aise" and lifts up the lid he had picked up earlier and turns it around so that it is facing the camera, the audience sees 'Interval' written on it. What remains unsaid is that while all of you go out and have your refreshments, I will clear the mess here. There is something else that goes unnoticed on a DVD but is discernible on the big screen and that is the fact that dance and rhythm flowed in Helen's veins. In the song jaan pehchaan ho, I noticed that she was involuntarily shaking her shoulders ( Helen is visible in the background in the screen shot above, she is wearing an orange dress). I later learnt that I wasn't imagining it, it was obvious to everyone on the set that she was not able to control herself, considering the song was made for dancing and poor Helen had to perforce sit and watch instead of joining the others on the dance floor. 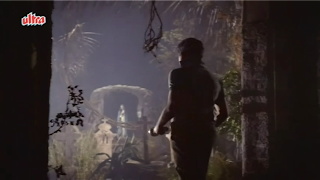 The film was shot extensively in Goa and the entire unit spent a lot of time there, my father stayed away from home for long stretches of time. Outdoor shooting meant being away from home which sometimes leads to boredom. 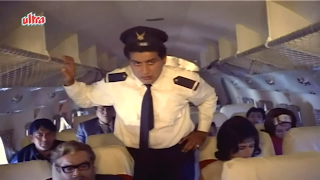 As they say 'idle mind is a devil’s workshop', someone thought of a prank (I do not know who) and that was to tease Madan Puri whose name was Dr. Acharya by referring to achar (pickle) in his presence. 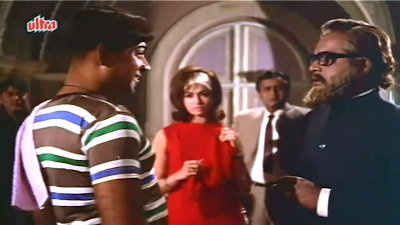 It was unobtrusive in the beginning, they even added a dialogue for him, Madan Puri asks Mehmood for some achaar (screen shot above), he delivered the dialogue innocently but after a few days he caught on to the mischief of his colleagues. There is a scene at the beginning which sort of sent shivers down the spine of the audience. There is this ghostly figure which gets up – it is straight as a ramrod. 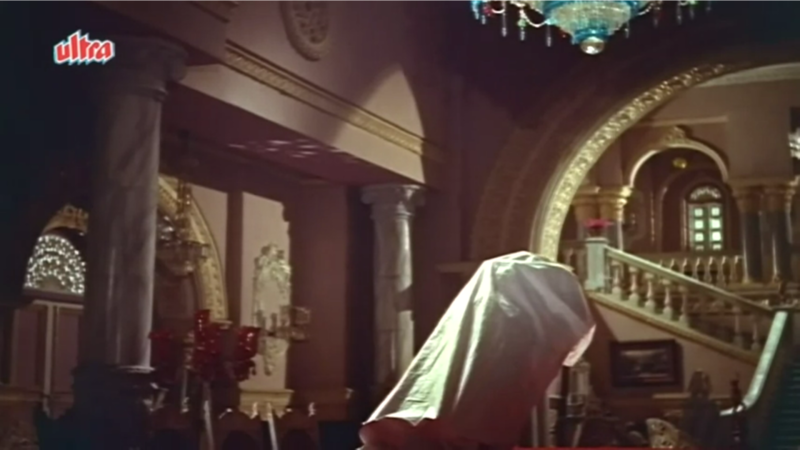 Much to everyone’s relief when 'this ghost' removes the shroud you see Mehmood making his funny face. R.K.Films. 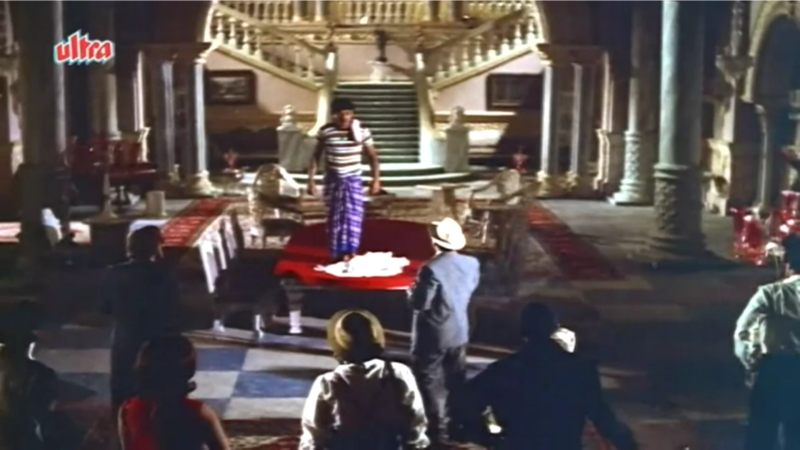 Raj Kapoor used it in Sangam (above). You may have seen the villain in several Hindi films putting a single bullet in his revolver and telling his victim, “ Mere revolver mein sirf ek goli hai. 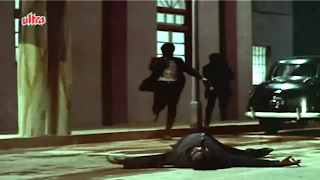 Ab yeh goli kiske kismet hai..”-- there is just one bullet in my revolver, now let's see it is in whose fate-- or some such dialogue, this particular scene with little variations has been repeated ad nauseam in several films. From what I have heard the film’s story was originally a little different from what was finally filmed, many changes were made subsequently. The murderer, for instance, was supposed to commit suicide but then it was decided that such an ending wouldn’t work, the hero after all had to do his thing that is bash up the villain and show his herogiri. 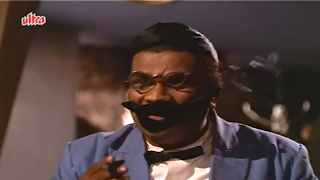 I did say in one of my earlier posts (Apradhi Kaun) that my father loved to play the villain but he had this childish streak in him, he definitely didn’t like being handcuffed, he would have preferred it he were shot dead or perhaps were shown to commit suicide. Unfortunately for him he was beaten black and blue by the hero and also handcuffed at the end. 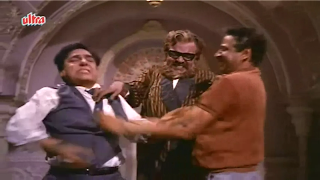 My brother recalls that shooting the fight scenes were pretty gruelling and exhausting for my father, they shot late into the night and once they shot for the whole night and my father came home with lots of aches and pains in his body. It was also a bit risky for him for you may recall in my post on Apradhi Kaun, I had mentioned that he had sustained a shoulder injury. 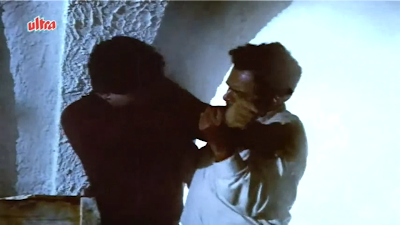 It is a little difficult to use body doubles when the shots are close-up shots as you see in the screen cap above. 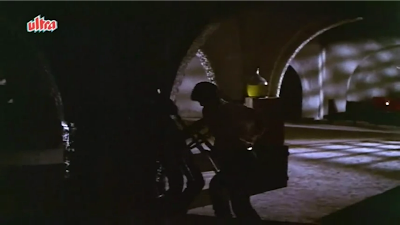 However when the actors are at a distance or in the shadows (as in the screen shot above) then the trained fighters come to the rescue. That is not my father's silhouette, that's his body double. 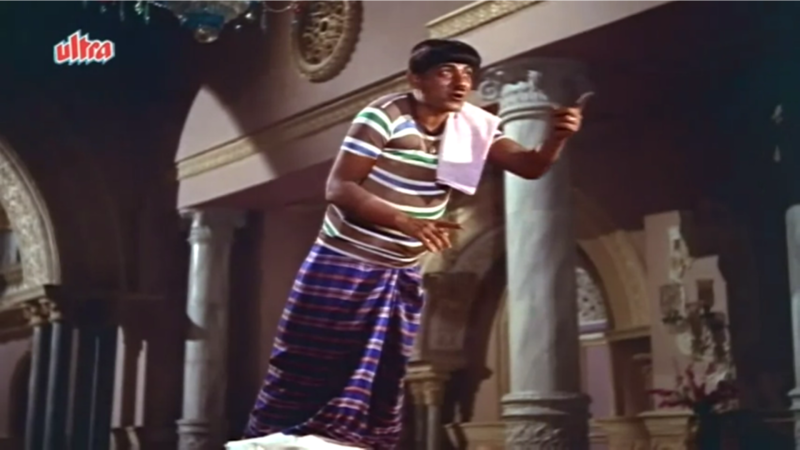 As the film became a superhit, my father gained some notoriety as the man who comitted seven murders. During this time I remember we were on a family vist to comedian Asit Sen’s house, it was quite late in the night when we were returning. We were in the northern part of Bombay (it was still Bombay then) where, in those days, tanga’s (horse-drawn carriage) still moved around. As my father was driving, suddenly this tanga or tonga came in the way and there was an accident, the tonga driver I think was slightly injured. My father was not at fault, it was the tonga driver’s fault, he had fallen asleep and he also did not have the required licence to drive the tonga. My father did what was the right thing to do and went to the nearest police station to report the accident. A small crowd had gathered at the spot and even as the policemen were conducting their investigation, one man remarked from the crowd, “Arey yeh to Tarun Bose hai, iska to kaam hi yeh hai, akhir isne Gumnaam mein saat khoon kya hai". 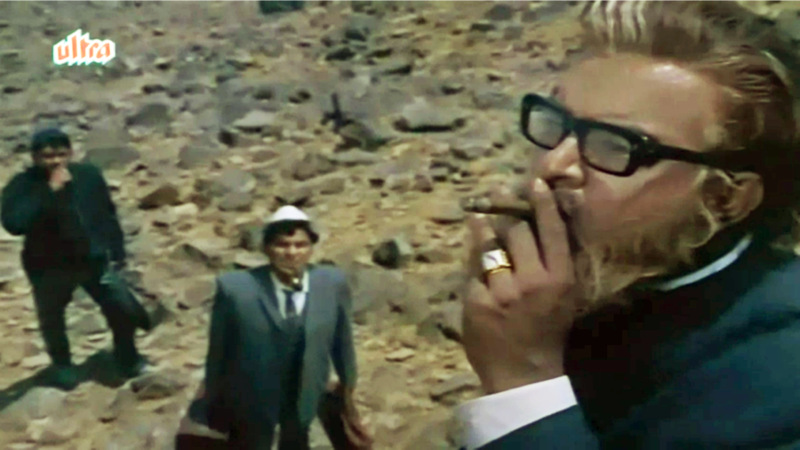 (This is Tarun Bose after all what do you expect from a man who committed seven muders in Gumnaam) My father was amused by that remark and wanted to burst out laughing but he managed to control himself. 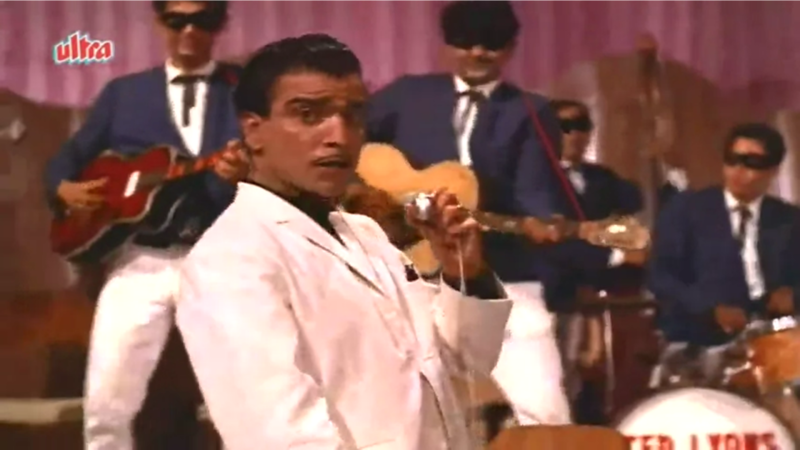 Incidentally, after the film's release wherever my father went people would shout, “woh dekh dhadiwala jaa raha hai”, this was because Mehmood refers to my father as 'dhadiwala' – that bearded man- in the film. Another incident that took place around this time was something I took for granted at that time, but today it is a sweet memory of a time gone by. We were driving from Bombay to Nagpur where my grandparents lived, we were accompanied by one of my father’s friend who was also from the film industry. We broke our journey at a place called Dhulia, (now it is known as Dhule) for some refreshments. Totally unaware of what was happening outside the restaurant the five us were busy tucking into our food. When my father stopped at this restaurant he had not realized that there were two cinema theatres nearby and that while Gumnaam was being screened at one theatre, Oonche Log was being shown at the other. After sometime we found people peeking in through the restaurant’s window and then the restaurant’s manager informed my father that a sizeable crowd had gathered outside. My father was wondering how the five of us were going to wade through that crowd, the manager suggested that it would be better if my father stepped out and met the people, that would ensure safe passage to the car. My father took his advice and waved out to the crowd, they were pleased, they allowed us to go to the car but they desperately wanted to touch and feel him, I still remember the smile on their faces as they touched and shook his hand. After all Dhulia was then just a a small town where the last thing the people would expect was to see an actor in flesh and blood. 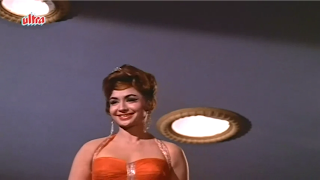 As I did say earlier, I learnt several things about this film much later, for instance several years ago I used to watch this programme 'This Week That Year' on one of the satellite channels - I do not remember which one- Gumnaam was being featured in one of the episodes. In this programme the film's producer N.N.Sippy revealed that the director and writers were driven up the wall by Manoj Kumar's constant interference, so much so that he had to step in and tell him, " You please do your job and let us do our job". I have taken the liberty of putting what the producer said in quotes because I remember those were the words he used in that show. Logically Kohra should have preceded Gumnaam but I wanted Oonche Log to be followed by Gumnaam as my father plays the murderer in both the films. My next post will be on Kohraa and some of my father's other black and white films. It might take a little time besides other things, I have to attend to my food blog as well, so please bear with me. Such a wonderful post, with so many interesting anecdotes! Loved going through it, Shilpi! 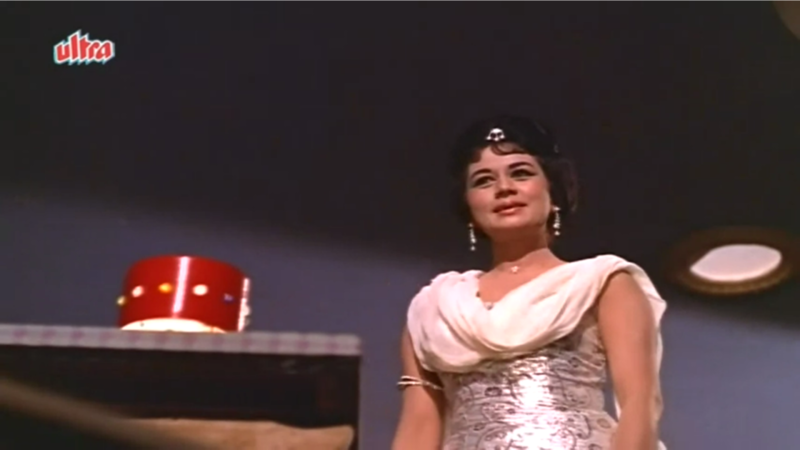 Loved the intersting observation of Helen not allowed to dance and found the Dhule incident so cute. 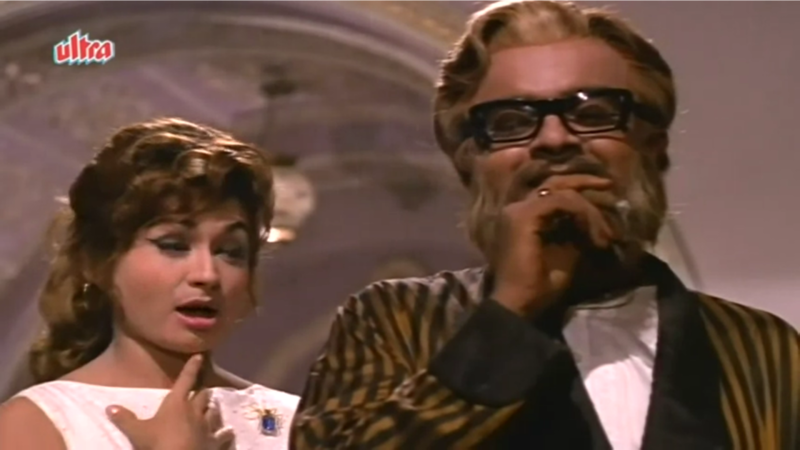 Yeah poor Nanda didn't have a solo on this film. The song is nice though Sharda's voice spoils it for me. Since Sharda sang it, it must have been Shankar's composition. Glad you enjoyed the post Harvey. I wish my father had lived a little longer, this blog would have been far more interesting. Thank you very much for the link, I will now be able to update my post with this new information. I will update it in a day or two. 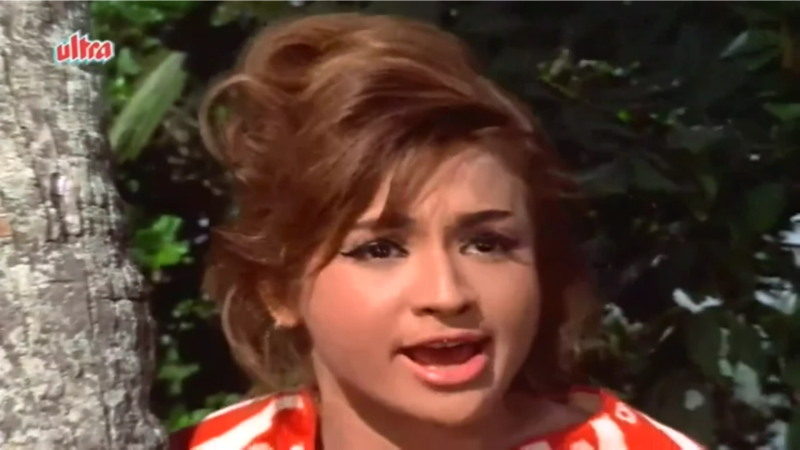 Oh yes Harvey you are right about Sharada, I felt if the music directors wanted a change then Suman Kalyanpur or Sudha Malhotra were far better than Sharada, but like you said it is a Shankar composition. Shilpi, every post of yours is so engrossing! 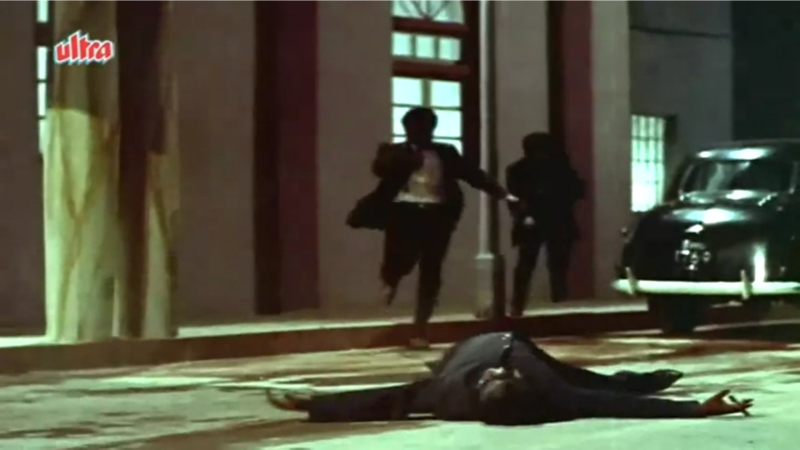 I loved this from start to finish - all your anecdotes are so interesting (and I agree about that scene where Kitty Kelly is killed - I listed it as one of my top ten most memorable Hindi film scenes). Liked, especially, that anecdote about your father's fan following in Dhulia. Sweet! 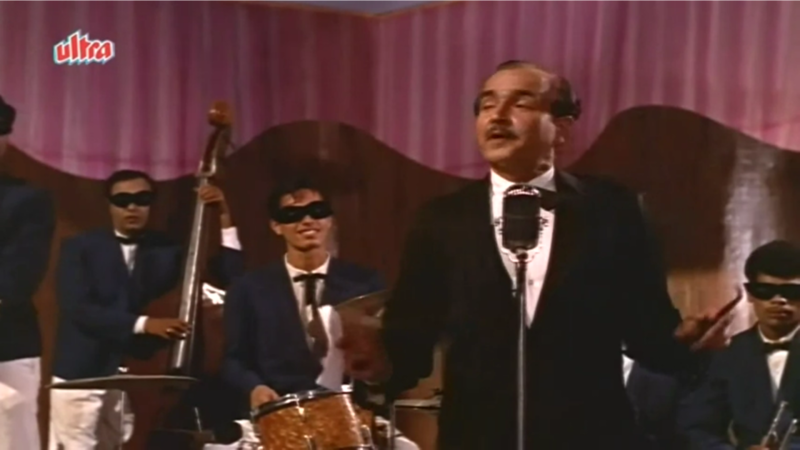 That song by now has probably become THE old Hindi film song most familiar to Westerners! Thanks for the compliment Madhu, glad you found the post engrossing. Yes now that you remind me I do remember reading it in your blog. This information about the commercial is really interesting. I think I will now add a post script to this post and add all this information in a day two to this post. Thank you very much. I am sorry Madhu but when I went to this URL it said this video is unavailable. What was it about? I am curious. Oh, that's sad. It's a song by a British band called White Lies; the song is called 'There goes our love again'. 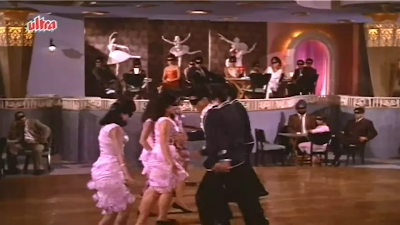 The costumes and the dance moves are an almost exact copy of Jaan pehchaan ho, though they don't come anywhere close to the sheer energy of Laxmi Chhaya and Co.! I will try to see whether I can get it by typing the title of the song, I am real curious now Madhu. So Charade it was, I have seen this film twice I think, but that was long ago, and I forgot about it. Like I said it will be added to the blog's postscript. Thank you very much. I kept clicking on the link from my blog for a few days and was very disappointed when it threw up the 'Sorry. This page doesn't exist' message. I look forward to your posts because of all the interesting anecdotes you invariably share, and the trivia which makes films I have seen even more interesting. I'm glad to see that in this post as well. In Ghost World the protagonist is a connoisseur of music and a collector of old LPs and in fact, plays this song for a young woman who is as interested in various types of music as he is. The Heineken commercial picked up on the song from Ghost World; for all I know, the copywriters were Indian. :) In any case, they used it because Jaan pehchaan ho had become very popular because of Ghost World. I am real glad that all of you enjoy my posts and Anu thank you very much for the additional info on Ghost World and the Heineken commercial. The score is 100 out of 100, what an njyoable reading and full of ancedotes. Felt as though its all happening in front of our eyes. Shilpi lage raho ! waiting 4 more. Thanks Rajee, it is comments like these that keep me going. Oh!No you haven't seen the film, that means I spoilt your fun, by revealing the suspense but all the same I am sure Ava you will still enjoy it.Glad you liked the post. 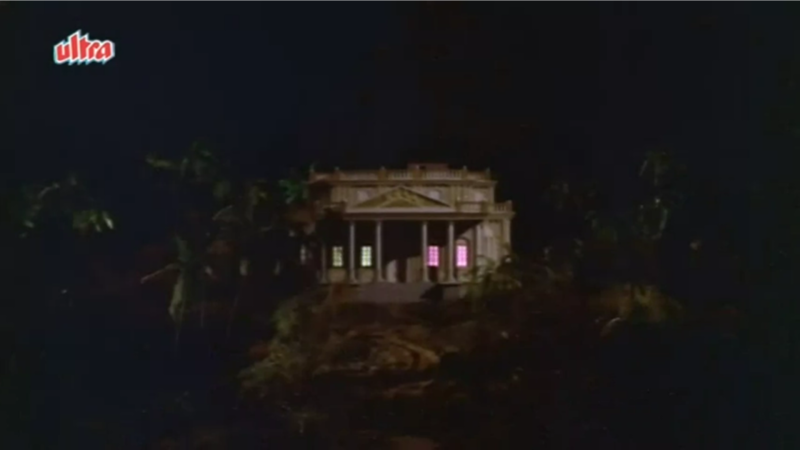 The stills of the film showing the rocky Goa beaches are lovely. 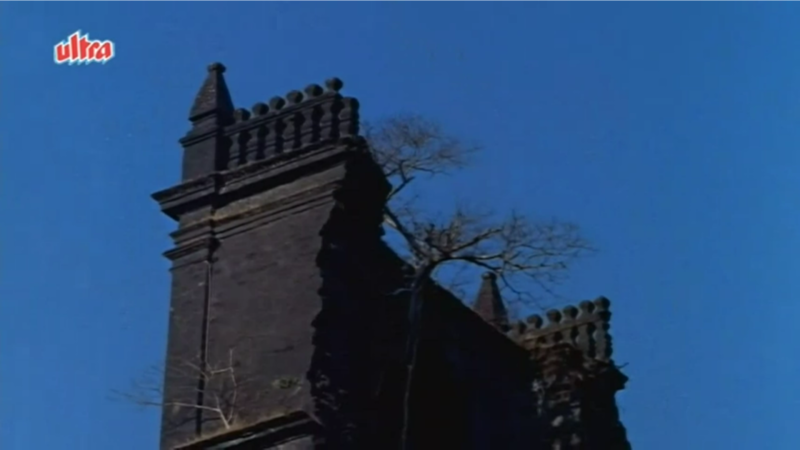 I remember admiring the scenery while watching the film. The Helen murder scene is indeed hair raising and memorable. Glad you enjoyed it , Goa then was very beautiful, now the beaches are full of shacks and tourists. Yes that villain's dialogue has been done to death in Hindi films, I guess my father was the first to mouth those dialogues. We had taken enough pains - bunking a class - to go and watch this movie. 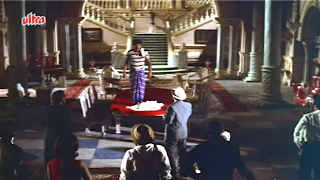 Suspense films in Hindi was (and even, is) a rarity, and then its connection with Agatha Christie's And There Was None was already known by then.Of course, had gone to the library to read And There was None once again, before having a go at Gumnaam. The film did hold attention (in those days, but SJ's songs added to the feeling of 'not getting full value' of money and efforts spent. Hindi films have a typical style of hiding the 'villain' in a suspense film, and then spring up the "villain" in the end. 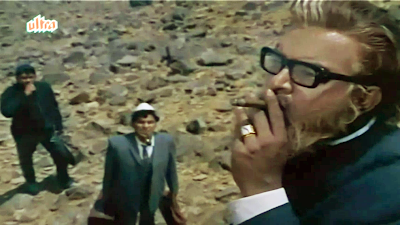 So, I remember not having seen of more of Tarun Bose during that visit to the show. Thanks for a journey to those days, particularly from the point of view of , always likable, Tarun Bose. You are welcome Mr.Vaishnav. 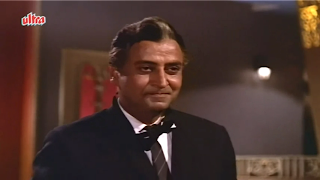 I know those days there were several diehard Gumnaam fans who repeatedly saw the film and my father as the villain did come as a huge surprise. This is one of my favourite films.I have seen this movie atleast 4-5 times.I love it so much.As Pran Saab is my favourite actor I loved his performance and of course I loved Tarun Ji's performance too...couldn't identify the killer till the end while in other Bollywood films we usually can guess the killer.Class Act it was...And I enjoyed reading your review a lot. Thanks Shreya, glad you enjoyed it. hi thx for your post. it was really good, so many things i know about this film, as i always wonder about where exactly they shooted the movie which i found through IMDB which they mention for one studio in andhari. 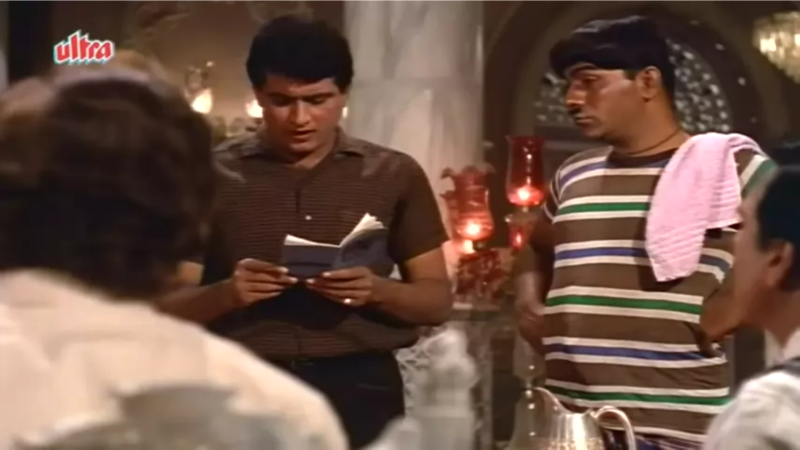 but now i know through you post that it was in Goa.I dont watch much indian film but few of the movie which i would like to watch in spare time as Gumnam is one of them. 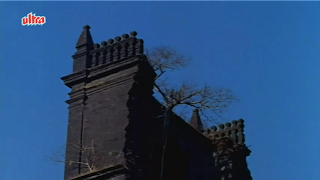 The place where all people live in this movie its was studio or it some place in Goa. I just wondering where exactly they shoot the movie in Goa. I have few collection of some Hollywood movie where the shoot but not many indian movies.May be i will come in india I try to go that place. Wonderful post, you are a great writer Shilpi, such impeccable English, so engrossing, interesting,the trivia was great. 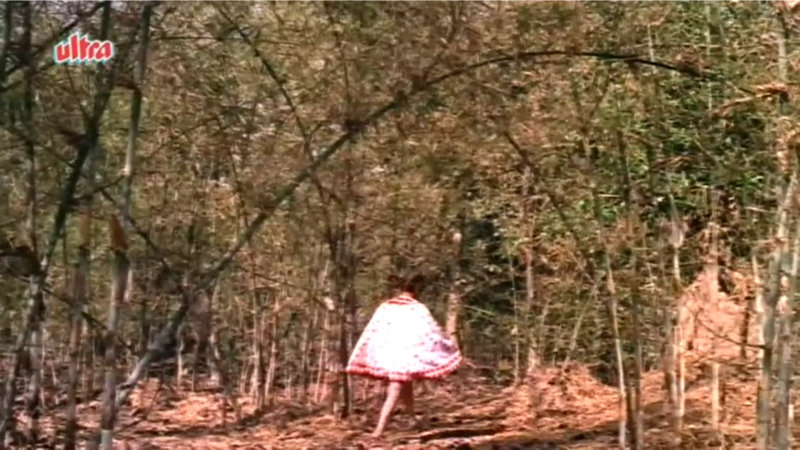 I did not realise that Gumnam was shot in Goa. 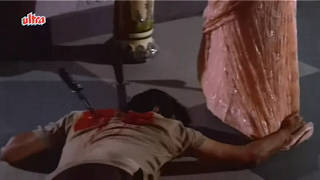 Manoj Kumar was the Aamir Khan of the 60's may be. Thanks for the compliment, one of the reasons I started this blog was to let people enjoy all the behind the scenes trivia, I know everybody finds these interesting. excellent blog... believe or not.. i watch this movie whenever I am free.. weekends or outings..
Movie has all recipes which makes it interesting to watch and one can never get bore.. But one thing... one thing.. 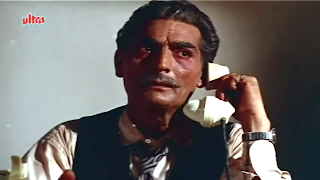 I am still searching in movie.. what was the role of Dhumal (Dharamdas) in conspiracy of Khanna or Sohanlal.. was he was Sohanlal's treasurer or advicer.. why he was killed... can anyone explain please..